Fort Branch is Finally Open! On Wednesday, July 9th, HiTel FCU opened a new Fort Branch inside of the Downtown Walmart on Fort Street Mall. Shoppers were eager to see the new two story retail store, and flooded the isles – customers were literally shoulder to shoulder. A few HiTel FCU employees were set up right on the mall with both 93.9 the Jamz and Island 98.5 giving away a lot of cool things. The credit union brought their wheel and winners who landed on the one lucky spot received a prize of their choice – a glass cup with a mini Yoko or mini Kalea doll, a shopping cart full of goodies or a HiTel FCU money bag. There was also a entry box to win a iPad mini and Ni’ihau shell necklaces. It was only one entry per person, however, anyone who opened a checking account with $100 would get three entries or $500 would get 20 entries. Winners will be announced all throughout the month of August! On Thursday July 10th, Pastor John from Hope Chapel blessed our branch to protect and bring good fortune to both the branch and staff. Fort Branch is our fourth Walmart Branch here on Oahu. Our employees are excited in servicing all your money needs! 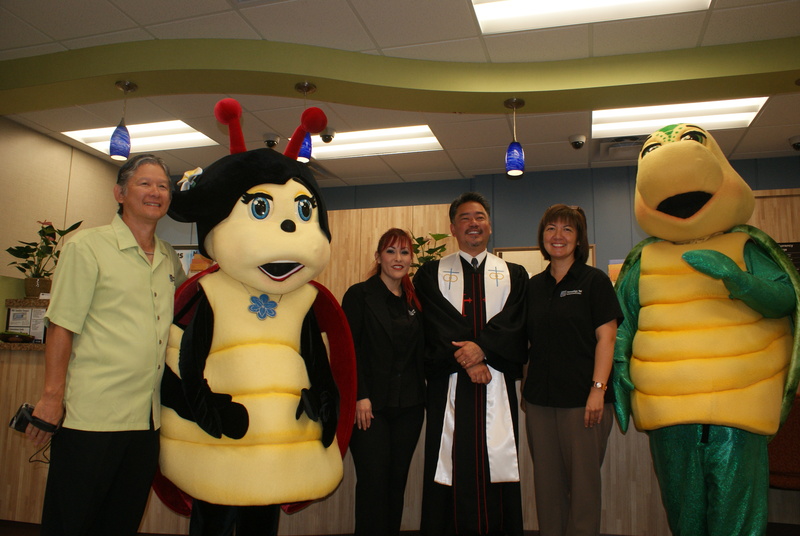 Like our Facebook page at Hawaiian Tel FCU and view more pictures from our Grand Opening! This entry was posted in Uncategorized and tagged Bishop Street, blessings, community, credit union, Downtown, employees, EwaBeach, family, finance, Fort Street, friends, grand opening, Halekulani, hawaii, hawaiian tel fcu, hitelfcu, honolulu, Kaimuki, Kalakaua Ave, Kalihi, Kapalama, kapolei, kunia, mccully, mililani, Schofield, Soft Opening, Wahiawa, Waikiki, waipahu, walmart, Wheeler AAF, Wheraton by Hawaiian Financial Federal Credit Union. Bookmark the permalink.